Our mission is to improve the well-being of everyone by redefine it entirely. We are a very small startup in non-profit consulting that has developed tools and services to enable organizations to switch from process focused to outcome focused impact in order to better capture their lasting change in their communities' well-being. Target audiences are organizations and their supporters that work in poverty or other human services; ex. non-profits, churches, donors, philanthropists, etc. Our goal is to switch the status quo focus of "giving X amount of things (food, clothes, houses, training, etc.) to Y amount of people" in human relief efforts and instead focus on the impact of the gift and if help it changed the recipient's well-being; for good or for worse. It is our understanding and belief that the reason why so many organizations in this field only track their processes is because they lack the tools to track outcomes. We have developed new metrics and services to support them to focus on well-being and transition their efforts and reporting to outcome impact. We are very focused on using data to influence behavior change via these new metrics and tools. These metrics will also help donors identify those organizations that are effect at improving outcomes; individual or community well-being. 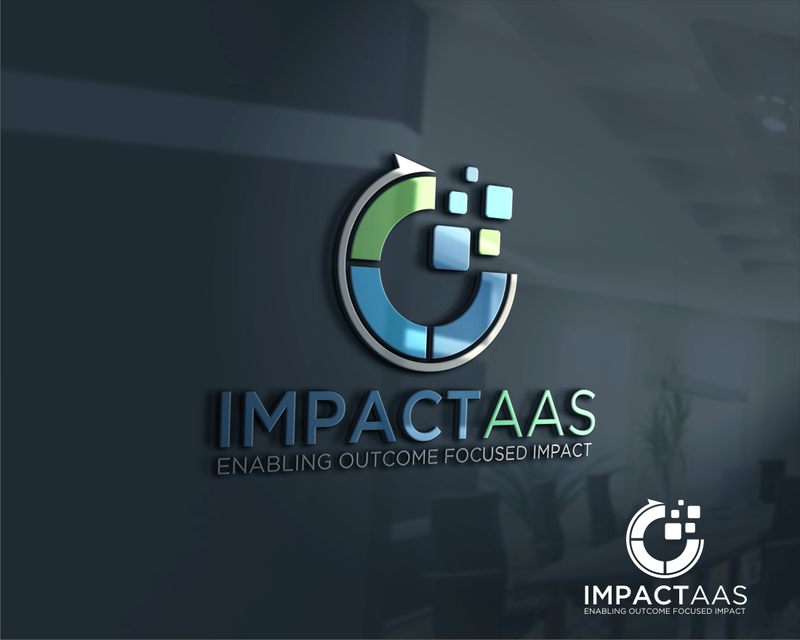 We call ourselves Impactass... as in Impact-aas, as a service. UPDATE: So far, our favorites are the designs with a logo using stars. We are still developing our metrics, but we believe they will have 4 or 5 or 6 primary parameters. The points of the star could symbolize this parameters. Colors should be the the blues and greens of trust and honesty. I would like to see the "aas"used in a neat way, to better identify the "as a service." Just as a clarification, our company name, phonetically, is "em-pact-aas". I would like there to be a logo/image to symbolize "change" or "growth" or "effective" or "improved well-being" or "outcome oriented" or "data metrics." Logo should be simple and allow suitable for effective printing on clothing, banners, etc. Logo should be suitable for color and black and white printing. Any trademarked or branded images/words. Colors should be the the blues and greens of trust, honesty, and growth. Black and white may also be used.